The RAF attacks Le Havre and at the same time gives the new 4-engine Halifax bomber it debut, although one of the six Halifax’s involved is shot down on its return flight by an RAF night fighter. Vichy France threatens to use its navy unless Britain allows food to reach France. Japanese troops make landings at Finschhafen in New Guinea. They also occupy Buka in the Solomon Islands. Japanese aircraft attack Port Moresby in Papua. 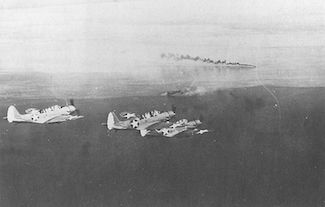 Aircraft from the American Aircraft Carriers Lexington and Yorktown make attacks against the Japanese at Lae and Salamaua. Britain reports that spending for WWII has surpassed spending for WWI. 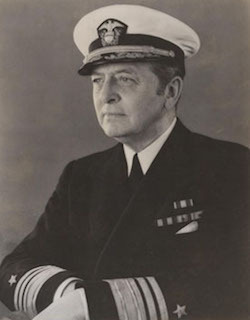 Based on FBI intercepts the Brazilian police arrest a German spy whose message to Hamburg contained sailing information for the Queen Mary, carrying 10,000 US troops. P-47 Thunderbolts fly first mission with US Eighth Air Force. The United States retakes Sbeïtla, Tunisia. Uman is taken as the Russians drive towards the Bug and Dnieper rivers. The Irish refuse to oust all Axis envoys and deny the accusation of spying on Allied troops. The 2nd Belorussian Front captures Zoppot, during its attack towards Danzig. The Kriegsmarine evacuates 25,000 civilian refugees from the besieged Baltic fortress of Kolberg in Pomerania. Field Marshal Kesselring replaces Field Marshal von Rundstedt as C-in-C of German forces in the West. German troops evacuate Wesel on the lower Rhine. The US Third Army captures Bonn. U.S. Eighth Army invades Zamboanga Peninsula on Mindanao in the Philippines. 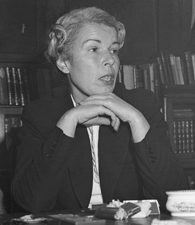 Nazi wartime broadcaster Mildred E. Gillars, also known as “Axis Sally,” was convicted in Washington D.C. of treason. She served 12 years in prison.